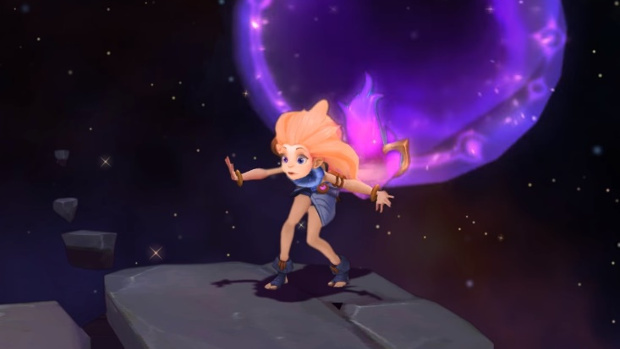 Very rarely does a League of Legends champion look like she could have just stepped out of a Pixar movie, but if you take a peek at Zoe, that’s the impression you’re likely to get. The brightly colored, extremely happy girl looks more like she’s causing mischief than waging any kind of war against her foes. Zoe apparently prefers to be referred to as the Aspect of Twilight — although her appearance makes that association a bit questionable. What her abilities are is currently unknown, but her teaser trailer makes it appear that she’ll be a fast champion with a variety of ways to get out of the line of fire before anyone even realizes she was there in the first place. Check out the video below to get a taste of this wacky kid.